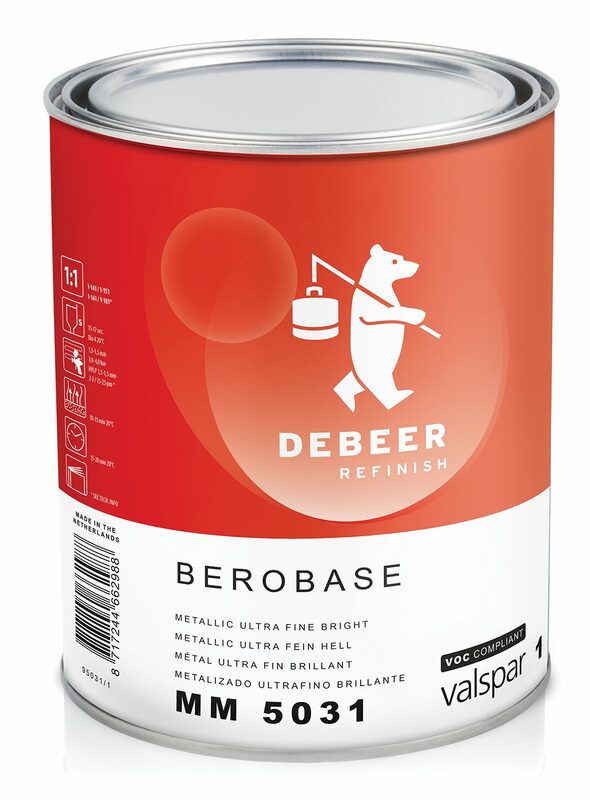 Responding to demand generated by the latest specialised OEM finishes, Valspar Automotive has added Metallic Ultra Fine Bright to its DeBeer Refinish toner selection. The product is described as a simple, quick and accurate solution for anything from spot repairs to large-scale applications. Matching deep colours and impressive effects, as seen in the brilliant metallic paintwork now favoured by so many vehicle manufacturers, is a difficult task for body shops. 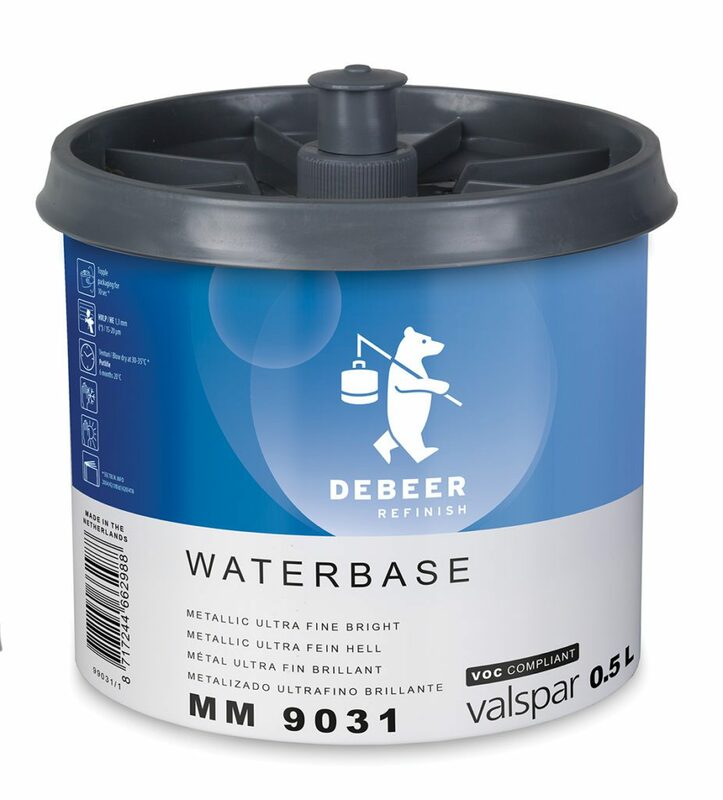 In formulating Metallic Ultra Fine Bright, which extends the DeBeer WaterBase 900+ Series and BeroBase 500 Series, Valspar has met the challenge with innovative pigment technology. Very fine, specially shaped aluminium particles give a silky, shimmering, mirror-effect appearance which perfectly matches the vehicle’s original finish. While painters would previously have had to spray far beyond the damaged area to achieve blending, the new product’s colour precision allows much more focused spraying. This saves on both time and paint. Further efficiency comes from the new toner’s easy application, which follows a standard under coat, base coat and clear coat process. The result is faster workflow – and fewer errors – in a wide variety of tasks. These range from minor repairs, on doors, bodywork, trim and even alloy wheel rims, to large refinishing jobs.